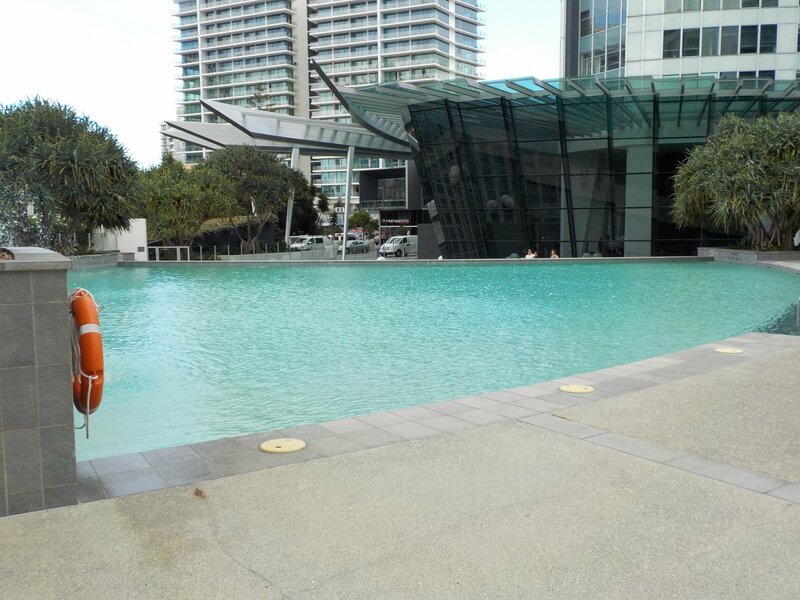 For true value for money, consider Apartment 4204 - located within the Gold Coasts most iconic resort tower. This spectacular resort is so iconic, it itself offers multiple attractions including the SkyPoint Observation Deck & SkyPoint Climb. At an impressive 323 metres above the ground and the 3rd tallest building in the Southern Hemisphere, you're guaranteed a memorable visit. 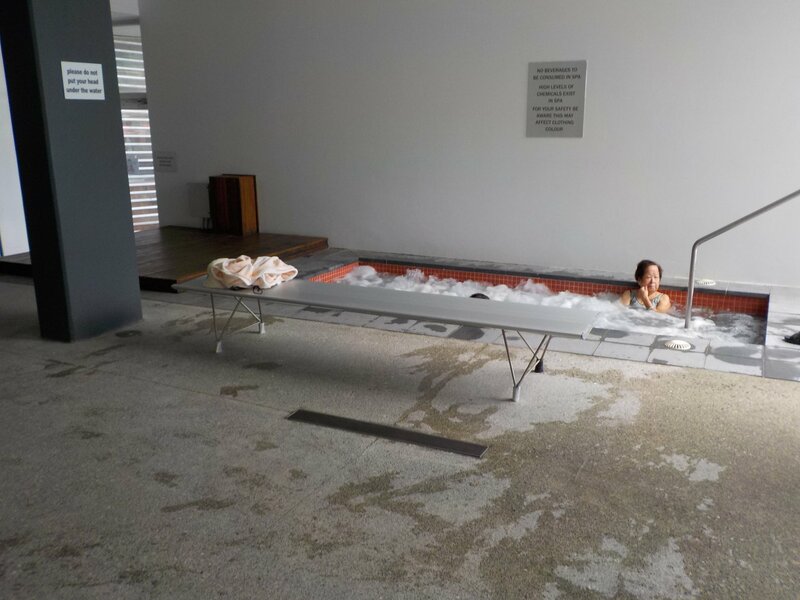 The resort's facilities are sure to keep you entertained all day and night. As a guest, you can enjoy complete access to the 2 outdoor pools, the heated indoor lap pool, the day spa, fully-equipped gym, sauna and steam rooms, barbeque facilities, lounge and even a private cinema room. The resort precinct also offers a variety of activities and dining options. 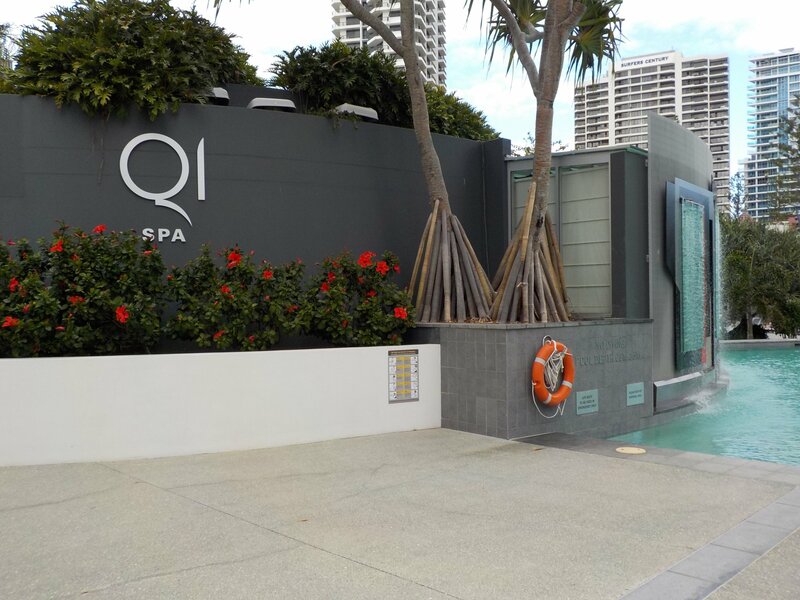 In terms of location, you will be idyllically located in the heart of Surfers Paradise and just a short 600 metre stroll from the famed Cavill Avenue and just 100 metres from the golden sands of Surfers Paradise beach. 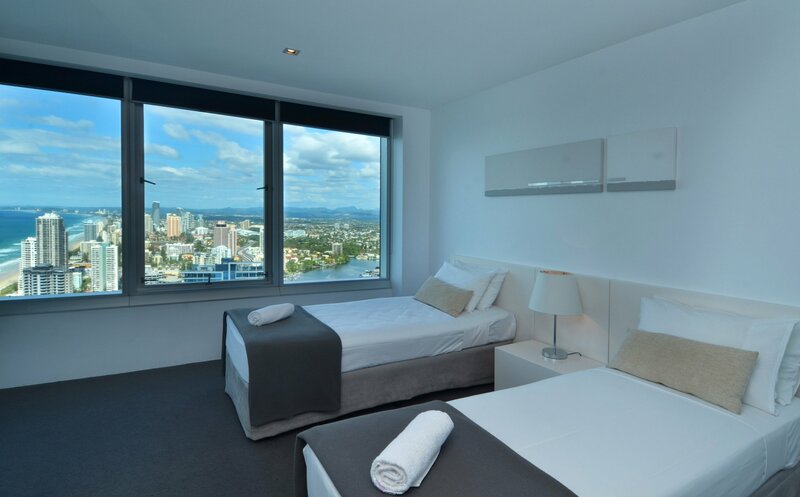 Apartment Overview When it comes to Surfers Paradise accommodation, it simply doesn't get any better than Apartment 4204. Offering memorable and luxurious Surfers Paradise accommodation, this apartment will seal the deal on your Gold Coast holiday. 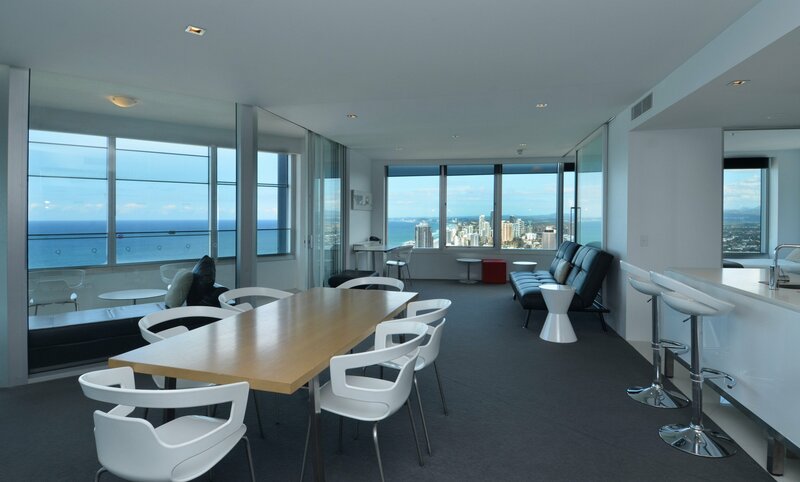 Boasting breathtaking panoramic views across the Gold Coast and Pacific Ocean, this modern apartment is situated high on the 42nd floor of this iconic residential tower. Apartment 4204 is ideal for families or groups of friends looking to have an enjoyable Gold Coast holiday. As a 2 bedroom apartment, it comfortably sleeps 4 guests, however it can sleep up to 8 guests (when roll-away beds are requested). Apartment Features This very spacious apartment features modern interiors and all the comforts of home from slick black leather lounges and flat panel TVs to a gourmet kitchen with European fittings. The lounge features two two-seater lounges, a stereo system and a flat panel TV, which is fitted with free Foxtel Premium perfect for keeping entertained on your down-time, while the separate living area provides the perfect space to sit and relax with a good book or somewhere to plug in your laptop and catch up on work emails thanks to the unlimited Free Wi-Fi that is included in the tariff. Between the Lounge and Living areas is a spacious Dining area which comfortably seats 6. Opposite the Dining area you will find the fully equipped gourmet kitchen. 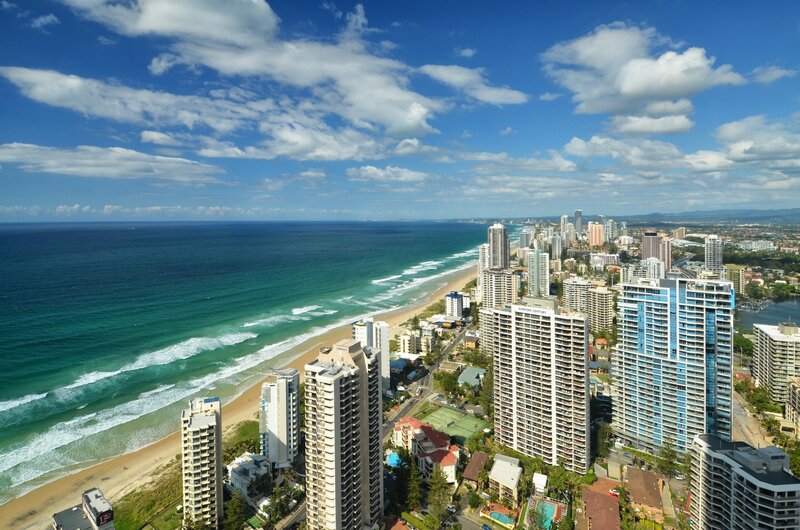 The Gold Coast can be very hot, especially over summer, but thankfully you won't have to worry if you choose Apartment 4204 as your choice of Surfers Paradise accommodation as the apartment is fully air-conditioned. It also features smoke detectors and sprinkler systems for your safety. 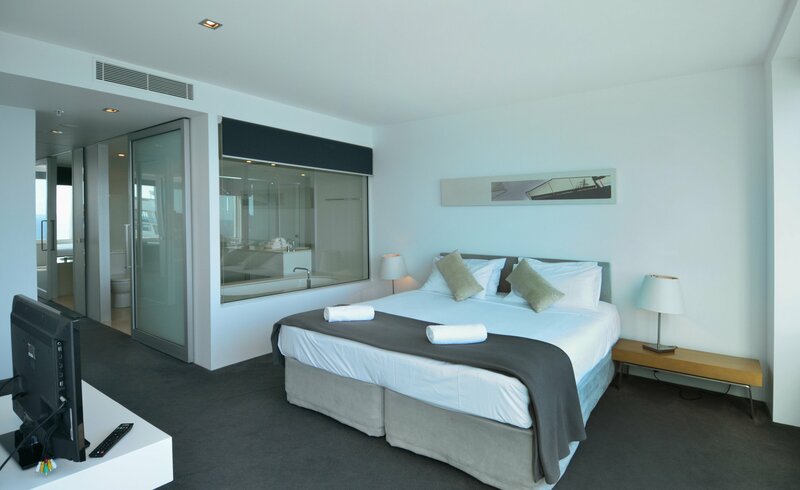 Bedding Configuration When it comes to Surfers Paradise accommodation, Apartment 4204 doesn't disappoint. The Master Bedroom, which offers amazing ocean views, is equipped with a Queen bed, flat panel TV, a walk-in-robe and ensuite, while the second bedroom, which too offers amazing ocean views, features 2 single beds. The apartment features a separate bathroom with a large shower, vanity and toilet. Resort Facilities The resort's facilities are sure to keep you entertained all day and night. As a guest, you can enjoy complete access to the 2 outdoor pools, the heated indoor lap pool, the day spa, fully-equipped gym, sauna and steam rooms, barbeque facilities, lounge and even a private cinema room. The resort precinct also offers a variety of activities and dining options included Longboards Laidback Eatery & Bar, Hanazono Japanese Teppanyaki Restaurant and Absynthe French Restaurant amongst others. 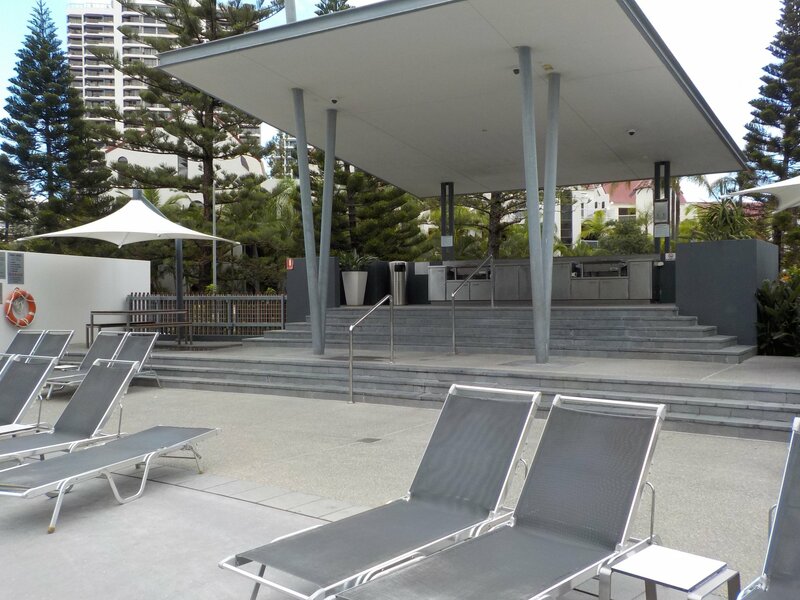 If you're looking for Surfers Paradise accommodation that offers great value for money, then you will find it hard to beat the offerings of this fantastic apartment. 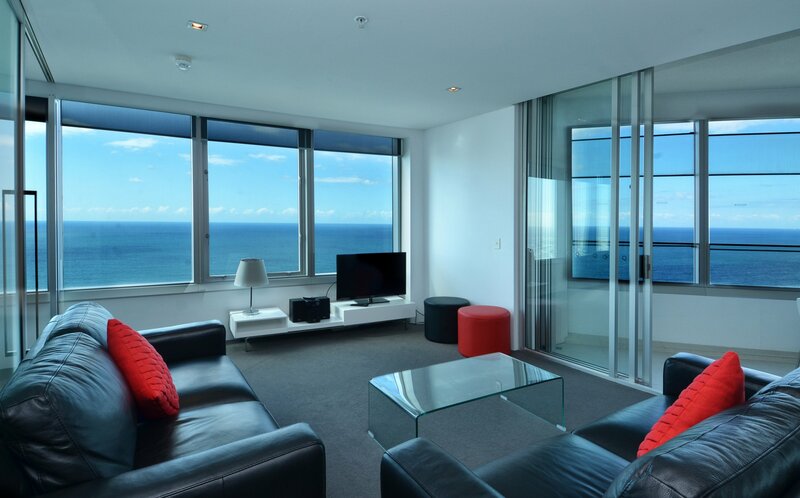 For a memorable holiday that is truly unique, choose to stay in Apartment 4204 for your Surfers Paradise accommodation. Staff are on call between the hours of 5pm and 9pm Monday to Friday and 9am and 6pm on Public Holidays and weekends (Saturday and Sunday). Key collection is available from 1.45pm (1345 hours) from our office on the day of arrival. 24 hour access. We recommended you download our Phone App for Directions. 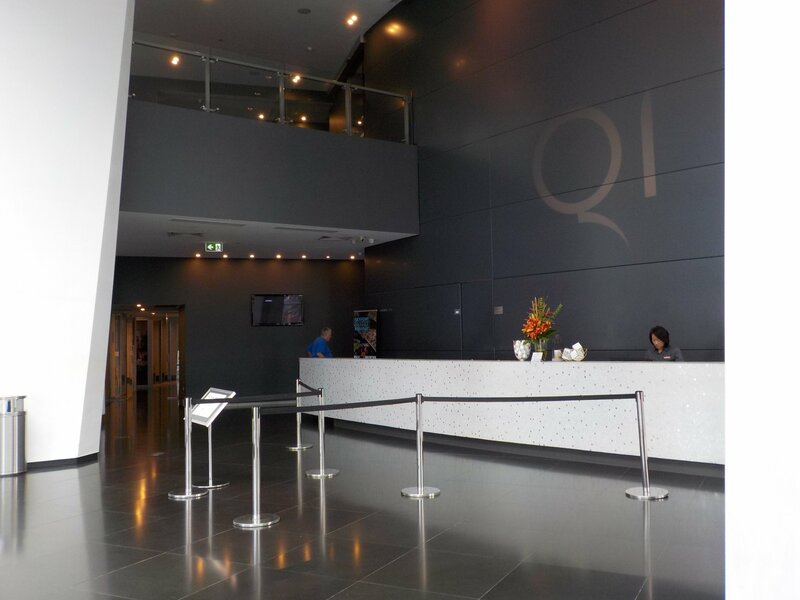 Guests will be provided (by email and SMS) with the access code (valid only for the day of arrival) to the key safe outside the office in the event that the office is unattended. All properties have FREE under cover secure car parking. 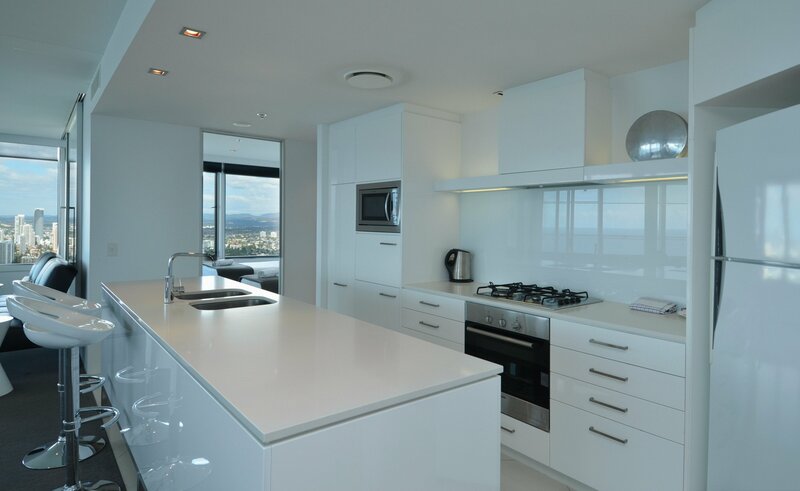 Apartment 4204 is located on Hamilton Avenu, 600 metres from Cavill Avenue and 1kilometre from Surfers Paradise Beach. Apartment 4204 is south of the GCHR Office, which is located on the ground floor (street frontage) of the Cosmopolitan Building on the corner of Surfers Paradise Boulevard and Beach Road. The closest light rail station to Apartment 4204 is Surfers Paradise station, which is located directly outside the resort on Surfers Paradise Boulevard.